Great location, especially for Etihad Stadium and the Casino, we had a very enjoyable time. Happy with my stay, friendly staff, I would prefer a room with natural light and would request a room with larger window/s if I stay again. We enjoyed our stay at your hotel and found the staff to be very helpful. I thoroughly enjoyed it. The near-perfect review was just spot on! I had just so much relaxing time there. Plus your GREEN concept just topped it. As a strong Green believer, I think you've done a wonderful job. THANK YOU. Good location to access CBD. The iPod docking station was very useful. We were very impressed with the environmentally friendly nature of the hotel. We also found the two gentlemen working on the reception desk to be exceptionally professional, helpful, kind, and courteous. The only downfall for us was the noise factor from outside. It sounded like people were literally talking outside of our window at all hours of the night so we found it difficult to sleep. Apart from that the room was clean and comfortable and reasonably priced. Breakfast was also fresh, tasty and good value. Thank you very much! Having windows that open for fresh air is a benefit however when open they will let in noise from the surrounding area. Our reception is open 24 hours a day to assist and will do their utmost to find a solution even when noise is from public areas. 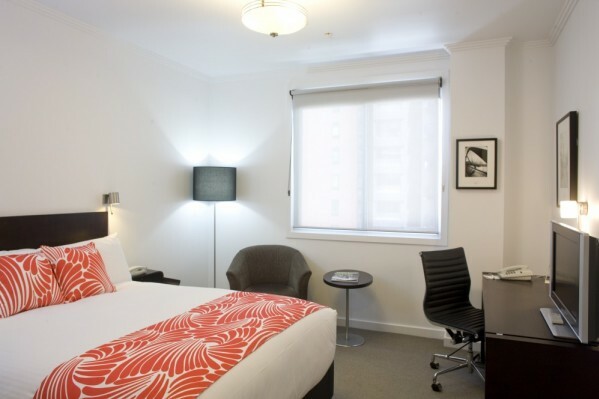 We always stay at Alto Hotel On Bourke when we visit Melbourne. I'm a regular. But did notice the evening meal was no longer available. Plus the cook turned up late one morning so cooked breakfasts were late. The lass in the dining room handling this very well. Your place is like a 2nd home and I appreciate the facilities time & time again and will continue to return. My partner and I stayed for three nights at the Alto and had a wonderful time. The beds were super comfy and the location is only a two minute walk from Southern Cross Station so it was perfect for us. One of the biggest reasons we chose the Alto was the environmental focus of the hotel, we only wish that there had been more vegan options (some soy milk in the fridge instead of just dairy would have been lovely). No complaints really, except that the coffee plunger in our room still had remnants of tea from a previous guest, ew. We had an excellent stay at the Alto. Cannot fault the facilities or sevice from all staff. Have already recommended to colleagues and friends and will definately make the Alto our accommodation of choice the next time we visit Melbourne. Very pleased with all aspects of our stay at the Alto.Would certainly consider staying again.Liked closeness to Skybus Terminal also. We received a warm welcome from Andrew and he was very helpful in addressing our questions. We thoroughly enjoyed our stay. The only down side was checking out. We were running late unfortunately and received a phone call followed by a supervisor entering our room. A little over zealous we thought and nothing we have ever experienced before and we travel extensively . Checking out was nowhere near as pleasant as checking in! Our internal communication was not efficient as we did not co-ordinate between our front desk and housekeepers once it was established that a late checkout was required and you were unnecessarily disturbed twice. As always, this was a great stay. You'll be seeing me again. A great combination of value, location, efficiency & comfort. And I appreciated the upgrade! Very comfortable bed & linens. Appreciated the water carafe & cold glasses as well as real milk for coffee. Charley was very helpful with information & restaurant suggestions. Grateful for room facing the alley as it was quiet. Nice wine for value before going out to dinner - we wanted a bit more than offered at the hotel. Understand that it was just before race weekend but still a bit difficult to take the huge jump in rate for our 2nd night; especially as we had booked our 1st night ages ago - some concession would have been appreciated. Good value for under $200., not so much for nearly $300. It was clean and served my purpose. An absolutely fantastic find on the internet. Four family females from the USA, Aus and UK had a wonderful time in Melbourne made perfect by our stay at the Alto. There was nothing we could find fault with. Staff were incredibly kind, helpful, pleasant, and always went the extra mile for us. The location was spot on for trains, trams and some great eating places. Our 2 bed apartment had everything in it that we needed. The air con was brilliant, (we were there in the middle of a heatwave), it was immaculately clean, lovely comfortable beds, good free wifi and very quiet in the evenings, plus free coffee and lovely fresh apples 24/7. I have travelled extensively and it is one of the best hotels I have stayed in. Would we come and stay again, absolutely yes, would we recommend it, absolutely yes. Thank you to the staff at Alto for helping make our special once in a lifetime family holiday so special. We also admire your 'green policies' well done. Convenient location for airport transfers and city access. Staff extremely courteous. Catered for soy and gluten-free preference. Room a little cramped, but not much time spent in it anyway. Great location, central to all activities we were attending during our stay. The staff were friendly and the room was great. Will certainly stay again next time we are in Melbourne. Enjoyed the free coffee and hot chocolate that was available in the lounge, a great way to start and finish your day. We had a lovely stay at the hotel. The staff was most helpful and the location was excellent (two minutes of walking from the skybus terminus and 30" to the tramstop, which takes you to all major sites in less than 10 minutes).the studio was very clean and quiet and spacious enough for us. We enjoyed our stay with you. Room was a bit small by the time we got our two cases in there but other than that everything was spot on. Very helpful and friendly staff, a nice experience ! Great to see that this hotel is reducing the environmental impact of our stay in lots of small but important ways. Free wifi is also a plus point. Very clean, great location only a stones throw from Southern Cross Station and the Skybus. Staff were very friendly and helpful. We spend a lot of time in hotels for our work and this one was exceptional, broadband very fast, breakfast great. I have already recommended this hotel to a colleague. Thanks for a wonderful stay. Close to Southern Cross for trains, and trams nearly just by the door in Bourke Street. Great welcome on arrival - room had everything we could wish for - very clean and comfortable - breakfasts were amazing - lots of choice and tasty. I would say practically perfect. Meets my needs well..very happy with the hotel..have been visiting quarterly or so for the last 18 months and will continue to do so. Great location. Staff welcoming, and helpful with questions re directions and trains. Room was excellent. Good to have coathangers that can be taken out of the wardrobe. Bed and pillows very comfortable. Good water pressure. Very good breakfast; waitresses friendly, good chef. Loved the rooftop honey. The hotel is well placed if visitors require public transport. We were visiting for the air show so it was handy to be so close to Sothern Cross station. It's also a reasonable walk into the centre of the city. As we discover later, the free city circle tram stops not far away. Cleanliness and friendly, helpful staff impressed! Wonderful, courteous service. We will be back. Made me feel at home after a seriously delayed flight and calmed me with a glass of water and helpful directions to an imminent appointment all of which was much appreciated. The breakfasts were excellent. Very convenient to transportation. Staff very helpful. Room very quiet and comfortable.